A new study says letrozole, an estrogen-suppressing drug, can benefit breast cancer patients. If post-menopausal women with early-stage breast cancer take the aromatase inhibitor for 10 years instead of five, according to a recent story by Andrew Pollack in The New York Times, the chances of their cancer returning is lowered by 34 percent. And their odds of developing a new case of cancer in the other breast dropped similarly. The study — which involved 1,900 post-menopausal women in the United States and Canada — was presented to the American Society of Clinical Oncology's annual meeting, and published in The New England Journal of Medicine. Skeptics, however, said the extra five years boosted "the risk of side effects like bone loss and joint and muscle pain." 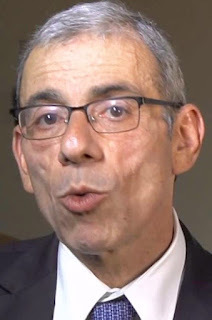 Dr. Eric Winer, director of the Dana-Farber Cancer Institute in Boston's breast cancer program and an author of the study, insisted the added five years is "an option but not the standard," and specifically noted that the new approach isn't for every woman. "You have to be careful not to over-treat everyone," The Times quoted him as warning. But, he told the newspaper, it's "most important to prevent recurrence outside the breast because that is what kills people." Typically, the article said, women now take either tamoxifen or an aromatase inhibitor "to block or suppress estrogen in hopes of keeping the cancer from returning." Guidelines from the oncology society suggest that women take tamoxifen for 10 years "because studies have show this prevents cancer recurrence and improves survival." 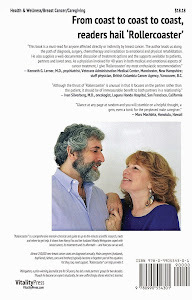 But woman also may take tamoxifen for five years and follow with an aromatase inhibitor for another five. The majority of post-menopausal women currently start on the latter. 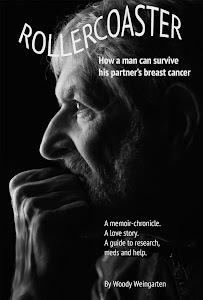 To learn about these or other cancer drugs, check out "Rollercoaster: How a man can survive his partner's breast cancer," a VitalityPress book I, Woody Weingarten, aimed at male caregivers.